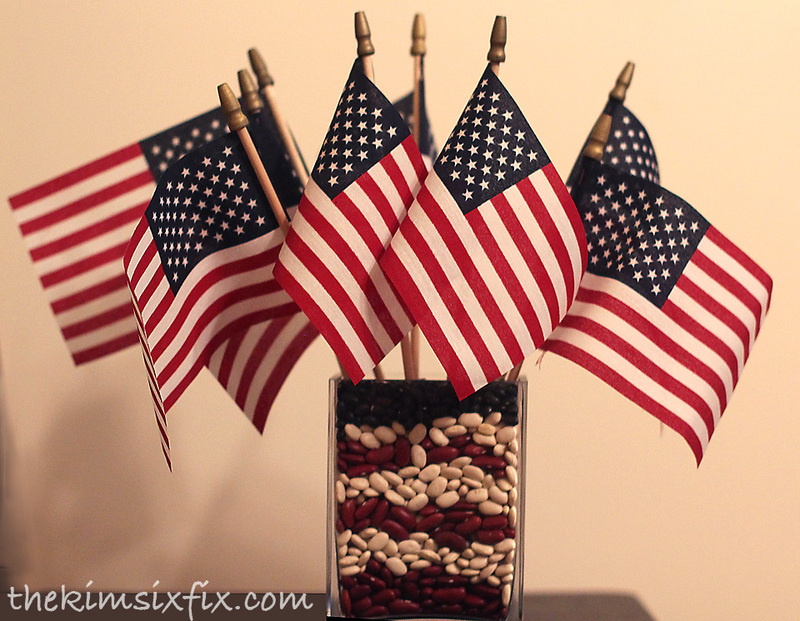 As I was gathering up all my patriotic accessories for this year's fourth of July mantle, I stumbled upon a bunch of this little American Flags which I thought would make a darling centerpiece for a summer barbeque. 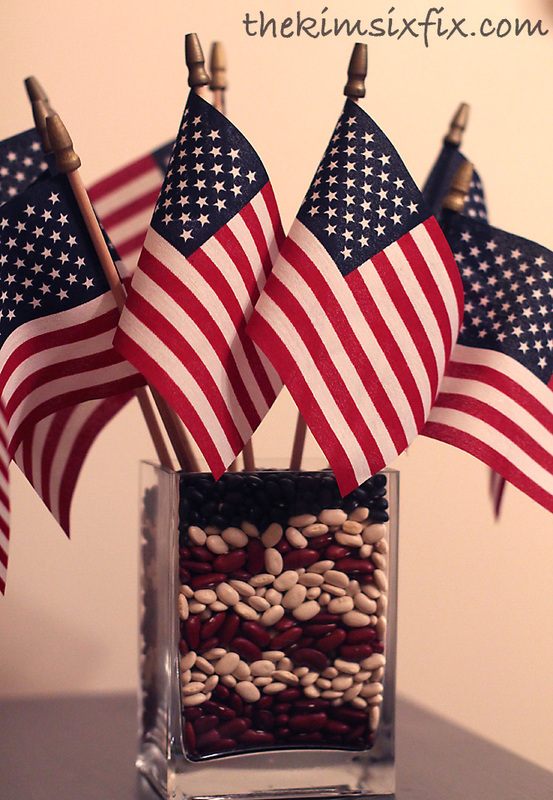 The problem was they wouldn't stand up nicely in an empty glass vase I wanted to use. 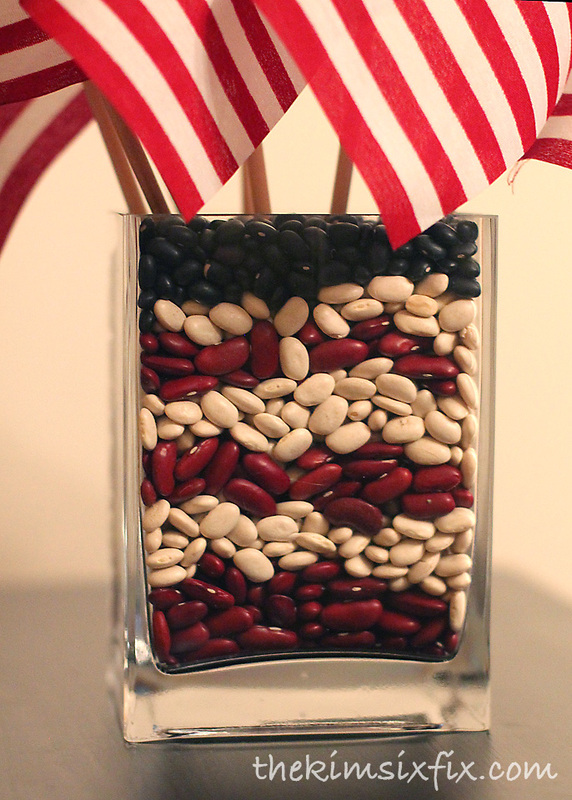 Just like last Memorial day, I layered navy beans, kidney beans and black beans to give me the red, white and blue vase filler I needed! Stayed tuned for my finished mantle reveal coming up soon! 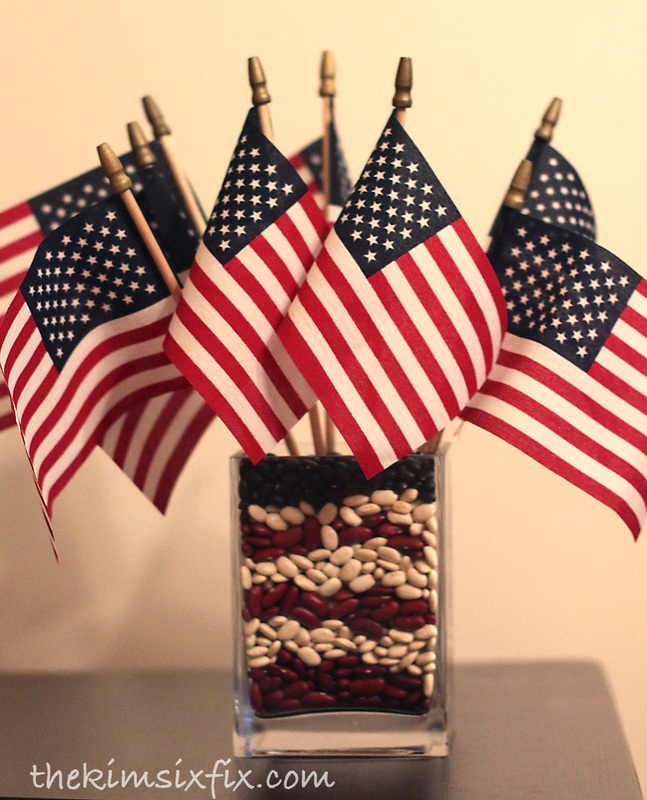 These cute little flags will make another appearance!